Scuba Diving Emergencies always have to start somewhere. A leaky o-ring, a partially filled cylinder, over weighting. As with any emergency, prevention and preparation are the places to start. Imagine this: you and your buddy are getting ready to dive at the Crater in Midway, Utah. The water is about 93F and it’s a fairly small, contained dive site. Since it’s so warm, you don’t need a wetsuit, which also means you only need minimal weight. You get your gear on and enter the water. Your buddy does the same, except he put on his normal ocean-diving weight belt with 25 pounds of lead. He sinks like a rock. WHOA! A simple pre-dive safety check could have prevented this potential scuba diving emergency. 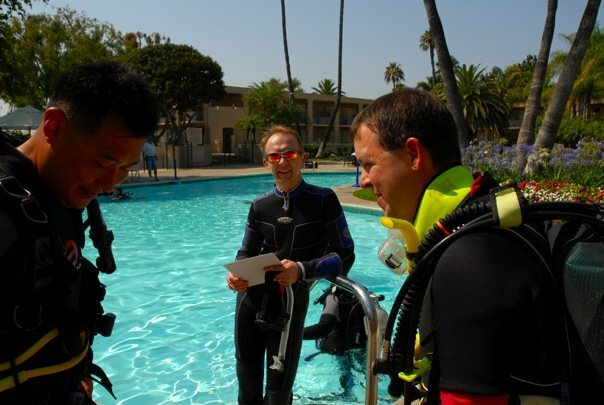 That pre-dive safety check is something you learn in your open water diver course. If we prevent as much as we can, then we next focus on how to respond. 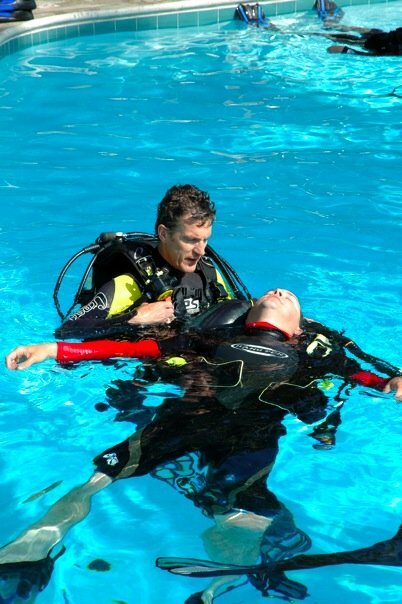 In the Rescue Diver course, we spend a good amount of time in the water practicing how to respond to a scuba emergency. Let’s take a look at some of the things you’ll learn and do. What will you learn & do? As a certified Diver Medic and a DAN Instructor Trainer, I’m a big proponent of additional diving first aid training. Why? Simple, diving emergencies follow where the diving is. One of the cool things about scuba is we get to explore our world, which often means we dive in remote locations. Even diving in the States, EMS can often be a long distance away. I encourage all divers, especially Rescue Divers, to continue their education with more training. I typically include the DAN Oxygen Provider and PADI Oxygen Provider programs with my Rescue Diver course. Beyond that, the DAN Hazardous Marine Life Injuries course and Neurological Assessment programs give you an expanded tool set as a Rescue Diver to handle diving emergencies. This entry was posted in Rescue Diver. Bookmark the permalink.